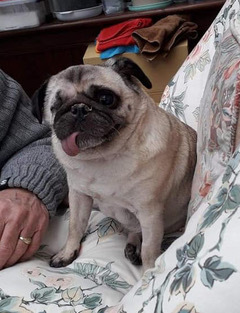 Edith was surrendered to a local veterinary practice at the grand old age of 10. She was not in good shape. Her breathing was extremely poor, her teeth were rotten and her right eye was so badly damaged that it needed to be removed. All were from obvious signs of neglect. 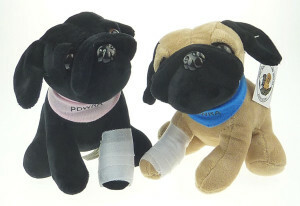 The PDWRA had to make an uneasy decision to put this old lady through surgery. There were no options, her eye had to be removed. The pain alone from the eye would have been unmeasurable. Edith is now living the life by the sea, being loved by her new adopters and siblings. Her eye no longer pains her, most of her teeth have been removed and her nostrils have been widened to ease her breathing. All is now well that ends well for this beautiful old lady.